The terms and conditions stated herein below shall govern the Lucky Draw organised by the Organiser (“Terms and Conditions”). By participating in the Lucky Draw (hereinafter defined), the Participant shall be deemed to have read, understood, accepted and agreed to be bound by the Terms and Conditions of the Lucky Draw including any amendments or variations to it and unequivocally accept the same in their entirety. Those persons (related or otherwise) who are joint purchasers in the S&P with a staff categorised in Section 3.5 (1) and Section 3.6 (2) above. The Lucky Draw Period runs from before and up till 31stDecember 2018 (Monday), 11.59PM, unless otherwise notified (“Lucky Draw Period”). Lucky draw will be conducted on January 2019 at 3pm or such other venue, date and time as the Organiser may in its absolute discretion determine and announce in any daily newspaper published in Singapore. The Organiser reserves the right to vary, postpone or reschedule the dates of the Lucky Draw or extend the Lucky Draw Period at its sole and absolute discretion. The Organiser may terminate or suspend the Lucky Draw at any time at its sole and absolute discretion. In which case, the Organiser may elect not to award any Grand Prize. Such termination or suspension will not give rise to any claim by the Participant. In the event the Lucky Draw is resumed by the Organiser, the Participant shall abide by the Organiser’s decision regarding resumption of the Lucky Draw and award of the Grand Prize. The Organiser will announce the winners from the pool of Eligible Participants participating in the Lucky Draw in accordance with Section 4 above. The Organiser reserves the right to change, amend, delete or add at any time to the Terms and Conditions and other rules and regulations including procedure and mechanism of the Lucky Draw at its sole and absolute discretion without prior notification. Winner is absent from the prize-giving ceremony and does not comply with Section 5.3 above in nominating a nominee. In the event of a disqualification after the Grand Prize has been awarded, the Organiser reserves the right to demand for the return of the Grand Prize in its original condition or payment of its value from the said disqualified winner. all the statements (if any and if so required) made by the Participant to the Organiser are true, correct, accurate and complete. agrees that the Participant shall not give any product endorsement, interviews or be involved in any articles or reports in respect of the Lucky Draw or the Grand Prize with any media or third parties. By participating in the Lucky Draw, the Participant agrees to abide by the Terms and Conditions, procedure and mechanism of the Lucky Draw and all decisions made or determined by the Organiser are final and binding on all matters pertaining to the Lucky Draw. Non-compliance of any Term and Conditions, the procedure and mechanism may result in disqualification. The Participant permits the Organiser to use the Participant’s name, photos and likeness for advertising and promotional purposes without consent, compensation or whatsoever unless prohibited by law. The winner shall not be permitted to transfer or assign any rights or sub-contract any of the obligations herein to another person. The Organiser shall be entitled to assign or sub-license the whole or any part of its rights hereunder to any third party as may be determined by the Organiser. By participating in the Lucky Draw, the Participant forever releases, discharges and holds harmless the Organiser, its subsidiaries, affiliates, directors, officers and agents from and against any and all liabilities, costs, injuries, loss, or damages of any kind arising from or in connection with the Lucky Draw or any Grand Prize won. The Participant shall indemnify the Organiser, its subsidiaries, affiliates, directors, officers and agents from and against all liabilities, costs, loss or expenses suffered thereby as a result of the Participant’s breach of the Participant’s warranties and undertakings and any breach of the Terms and Conditions and/or the rules and regulations of the Lucky Draw. All rights and privileges herein granted to the Organiser are irrevocable and not subject to rescission, restraint or injunction under any and all circumstances. Under no circumstances shall the Participant have the right to injunctive relief or restrain or otherwise interfere with the organization of the Lucky Draw, the production, distribution, exhibition and/or exploitation of the Lucky Draw, the Grand Prize and/or any product based on and/or derived from the Lucky Draw. The Organiser reserves the right to send SMS messages or email notification to the Participant containing information regarding the promotional activities of the Organiser and/or its group of companies. If the Participant does not wish to receive such SMS messages or email notification, the Participant is required to call and inform the Organiser accordingly. The Terms and Conditions and the rules and regulations of the Lucky Draw shall be construed, governed and interpreted in accordance with the laws of Singapore. The invalidity, illegality or unenforceability of any terms hereunder shall not affect or impair the continuation in force of the remainder of the Terms and Conditions of the Lucky Draw. Only one (1) grand prize of $318,000 cash / credit note rebate on the purchase price stated in the S&P (“Grand Prize”). 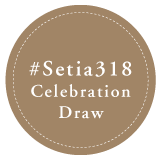 Each Winner is only entitled to win one (1) Grand Prize per project during the Lucky Draw Period from a S P Setia Group company regardless of the number of property (ies) bought. The Organiser reserves the right to alter / vary / replace the Grand Prize to a prize of similar value at any point of time. The Grand Prize is strictly not exchangeable, transferable and redeemable for cash or in any kind. All and any costs and expenses incurred in relation to the Lucky Draw shall be borne fully by the Participant. The Organiser shall be under no obligation to reimburse the Participant for any such costs and expenses incurred thereof. In the event the Winner is not contactable or does not accept the Grand Prize in accordance with the Terms and Conditions of the Lucky Draw, the Winner shall be deemed to have relinquished the Grand Prize, and the Organiser shall be entitled to deal with the same at its sole and absolute discretion. All Grand Prizes are accepted entirely at the risk of the Winners and are awarded by the Organiser without any warranty of any type whatsoever, express or implied. The Winner must present the National Registration Identity Card (NRIC) / Passport for verification purpose. The Participant shall not dispute nor make any oral or written complaints, public announcements or statements on the same whether during or after the Lucky Draw Period. By participating in the Lucky Draw, the Participant acknowledges and agrees that the Organiser will gain access to, use, disclose, retain and otherwise process certain Personal Data provided by the Participant for the purpose of the Lucky Draw. In the event the Participant withdraws their consent to the access, use, disclosure, retention and process of their Personal Data, the Participant will be disqualified and ineligible for consideration for the Grand Prize.